Are the instructions (commandments) in Shemot and Yovheliym in chronological order? 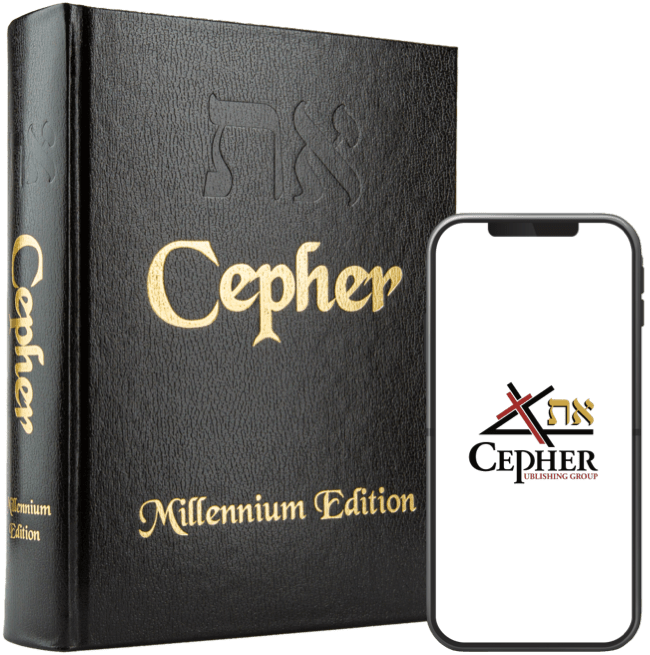 Are the commandments in the cepher in chronological? Do you know the details of the covenant which the children of Israel broke? What makes up this covenant? What's the difference between the Royal covenant and the book of the law? But what is this word for covenant? In Hebrew, the word is (בְּרִית) beriyth (Strong's H1285), sometimes pronounced brit. This word is translated as covenant, and it means a compact or covenant. It is the plural of the root word bara (Strong’s H1254) – which means to create. (See Bere’shiyth 1:1). So, ultimately, a brit (covenant) are acts of creation, or creations. In the beginning, ELOHIYM chose eth the heavens and eth the earth! As we will discover, everything between YAHUAH and man is a condition of choosing and consent. Unlike religions, the true faith is always based upon election – the choice of YAHUAH, and the choice of those who have been called. So, the covenant is made between YAHUAH and Avram, which is the giving of the land, from the Nile (the river of Mitsrayim) to the Euphrates (the river Perath). And when Avram was ninety years old and nine, YAHUAH appeared to El-Avram, and said unto him, I am EL SHADDAI; walk before me, and be perfect. 2 And I will make my covenant between me and you, and will multiply you exceedingly. 3 And Avram fell on his face: and ELOHIYM talked with him, saying, 4 As for me, behold, my covenant is with you, and you shall be a father of many nations. 5 Neither shall your את eth-name anymore be called Avram, but your name shall be Avraham; for a father of many nations have I made you. 6 And I will make you exceeding fruitful, and I will make nations of you, and kings shall come out of you. 7 And I will establish את eth-my covenant between me and you and your seed after you in their generations for an everlasting covenant, to be ELOHIYM unto you, and to your seed after you. 8 And I will give unto you, and to your seed after you, את eth the land wherein you are a stranger, את eth all the land of Kena`an, for an everlasting possession; and I will be their ELOHIYM. 9 And ELOHIYM said unto El-Avraham, You shall guard את eth-my covenant therefore, you, and your seed after you in their generations. 10 This is my covenant, which ye shall guard, between me and you and your seed after you; Every man child among you shall be circumcised. 11 And ye shall circumcise את eth the flesh of your foreskin; and it shall be a token (oth) of the covenant betwixt me and you. 12 And he that is eight days old shall be circumcised among you, every man child in your generations, he that is born in the house, or bought with money of any stranger, which is not of your seed. 13 He that is born in your house, and he that is bought with your money, must need to be circumcised: and my covenant shall be in your flesh for an everlasting covenant. 14 And the uncircumcised man child whose את eth-flesh of his foreskin is not circumcised, that soul shall be cut off from his people; he has broken את eth-my covenant. However, this word oth (אוֺת) (Strong's H226) is not the root word here. The three letter root is the word uth (אוֺת) (Strong's H225), which in its general appearance means consent. I am the Good Shepherd, and know my sheep, and את eth am known of mine. 15 As the Father knows me, even so know I the Father: and I lay down my life for the sheep. 16 And other sheep I have, which are not of this fold: them also I must bring, and they shall hear my voice; and there shall be one fold, and one Shepherd. 17 Therefore does my Father love me, because I lay down my life, that I might take it again. 18 No man takes it from me, but I lay it down of myself. I have power to lay it down, and I have power to take it again. This commandment have I received of my Father. That which is expressed here indicates volition – I lay it down of myself. This discussion is one of assent as opposed to coercion. The age-old argument as to who crucified MASHIACH – Romans or Jews – is a non sequitur here. As the Shepherd tells us, no man takes it from me, but I lay it down of myself. Now, let’s review this word uth, spelled (אוֺת) aleph-vav-tav, to discover its root meaning (Strong’s H225) which is assent, or consent. Consider for a moment that this word means that the aleph-tav, the eth, the beginning and the end, the first and the last, is divided by the vav, the nail, by consent! Now let’s go back to the verse in question concerning the token of the covenant. And ye shall circumcise את eth the flesh of your foreskin; and it shall be a token (oth) of the covenant betwixt me and you. 12 And he that is eight days old shall be circumcised among you, every man child in your generations, he that is born in the house, or bought with money of any stranger, which is not of your seed. 13 He that is born in your house, and he that is bought with your money, must need to be circumcised: and my covenant shall be in your flesh for an everlasting covenant. 14 And the uncircumcised man child whose את eth-flesh of his foreskin is not circumcised, that soul shall be cut off from his people; he has broken את eth-my covenant. Keeping in mind that the root of the word oth – which is a mark, a miracle, a sign, or a token – is the word uth, which means consent, then this token must be construed as a token by consent. And ye shall circumcise את eth the flesh of your foreskin; and it shall be a token (oth) by consent (ooth) of the covenant betwixt me and you. When YAHUAH ELOHAYKEM shall bring you into the land whither you go to possess it, and has cast out many nations before you, the Chittiym, and the Girgashiym, and the Emoriym, and the Kena`aniym, and the Perizziym, and the Chivviym, and the Yevuciym, seven nations greater and mightier than you; 2 And when YAHUAH ELOHAYKA shall deliver them before you; you shall smite them, and utterly destroy them; you shall make no covenant with them, nor show mercy unto them: 3 Neither shall you make marriages with them; your daughter you shall not give unto his son, nor his daughter shall you take unto your son. 4 For they will turn away את eth-your son from following me, that they may serve other elohiym: so will the anger of YAHUAH be kindled against you, and destroy you suddenly. 5 But thus shall ye deal with them; ye shall destroy their altars, and break down their images, and cut down their Asherah poles, and burn their graven images with fire. 6 For you are a holy people unto YAHUAH ELOHAYKA: YAHUAH ELOHAYKA has chosen you to be a special people unto himself, above all people that are upon the face of the earth. 7 YAHUAH did not set his love upon you, nor choose you, because ye were more in number than any people; for ye were the fewest of all people: 8 But because YAHUAH loved you, and because he would guard את eth-the oath which he had sworn unto your fathers, has YAHUAH brought you out with a mighty hand, and redeemed you out of the house of bondmen, from the hand of Phar`oh king of Mitsrayim. 9 Know therefore that YAHUAH ELOHAYKA, he is ELOHIYM, the faithful EL, which guards his covenant and mercy with them that love him and guard his commandments to a thousand generations; 10 And repays them that hate him to their face, to destroy them: he will not be slack to him that hates him, he will repay him to his face. 11 You shall therefore guard את eth-the commandments, and את eth-the statutes, and את eth-the judgments, which I command you this day, to do them. The token by consent is therefore a decision that passes from generation to generation. The Greek equivalent of the Hebrew word oth, (אוֺת) is the word σημειον semeion (Strong’s G4592), and it too is usually interpreted as a ceremonial or supernatural miracle, sign, token, or wonder. Immediately after the tribulation of those days shall the sun be darkened, and the moon shall not give her light, and the stars shall fall from heaven, and the powers of the heavens shall be shaken: 30 And then shall appear the sign of the Son of Adam in heaven: and then shall all the tribes of the earth mourn, and they shall see the Son of Adam coming in the clouds of heaven with power and great glory. 31 And he shall send his angels with a great sound of a shofar, and they shall gather together his elect from the four winds, from one end of heaven to the other. And when Avram was ninety years old and nine, YAHUAH appeared to El-Avram, and said unto him, I am EL SHADDAI; walk before me, and be perfect. 2 And I will make my covenant between me and you, and will multiply you exceedingly. 3 And Avram fell on his face: and ELOHIYM talked with him, saying, 4 As for me, behold, my covenant is with you, and you shall be a father of many nations. 5 Neither shall your את eth-name anymore be called Avram, but your name shall be Avraham; for a father of many nations have I made you. 6 And I will make you exceeding fruitful, and I will make nations of you, and kings shall come out of you. 7 And I will establish את eth-my covenant between me and you and your seed after you in their generations for an everlasting covenant, to be ELOHIYM unto you, and to your seed after you. 8 And I will give unto you, and to your seed after you, את eth the land wherein you are a stranger, את eth all the land of Kena`an, for an everlasting possession; and I will be their ELOHIYM. Therefore, the token by consent of the circumcision is participation in this covenant. Ultimately, it is a claim to the land mass called the Greater Israel, which is not a territory marked by an arbitrarily drawn southern boundary line which includes Iraq and Kuwait, but in line with the description found in Chizayon. And the city lies foursquare, and the length is as large as the breadth: and he measured the city with the reed, twelve thousand stadion. The length and the breadth and the height of it are equal.Above is approximately the size the Renewed Yerushalayim described by Yahuchanon in his revelation, which stretches from the Nile to the Euphrates, but as you can see, it does not stretch from the entirety of the Nile to the entirety of the Euphrates; rather, it touches both the Nile on the southwestern corner, and the Euphrates on the northeastern corner. This size is discussed with particularity in Chizayon (Revelation) 21:16. And Avraham gave all that he had unto Yitschaq. AND when Avram was ninety years old and nine, YAHUAH appeared to El-Avram, and said unto him, I am EL SHADDAI; walk before me, and be perfect. 2 And I will make my covenant between me and you, and will multiply you exceedingly. 3 And Avram fell on his face: and ELOHIYM talked with him, saying, 4 As for me, behold, my covenant is with you, and you shall be a father of many nations. 5 Neither shall your name anymore be called Avram, but your name shall be Avraham; for a father of many nations have I made you. 6 And I will make you exceeding fruitful, and I will make nations of you, and kings shall come out of you. 7 And I will establish my covenant between me and you and your seed after you in their generations for an everlasting covenant, to be ELOHIYM unto you, and to your seed after you. 8 And I will give unto you, and to your seed after you, את (eth) the land wherein you are a stranger, את(eth) all the land of Kena`an, for an everlasting possession; and I will be their ELOHIYM. So, we have this expression describing the covenant as an everlasting covenant. It is within this covenant that the house of Yisra’el, the generation to follow the twenty-two generations from the breathing of the RUACH into the nostrils of Adam, would be selected as the chosen people. And ELOHIYM said, Sarah your woman shall bear you a son indeed; and you shall call his name Yitschaq: and I will establish my covenant with him for an everlasting covenant, and with his seed after him. 20 And as for Yishma`el, I have heard you: Behold, I have blessed him, and will make him fruitful, and will multiply him exceedingly; twelve princes shall he beget, and I will make him a great nation. 21 But my covenant will I establish with את (eth)-Yitschaq, which Sarah shall bear unto you at this set time in the next year. So, Avraham gave everything he had to Yitschaq, and YAHUAH expressed the covenant anew to Yitschaq concerning the giving of the land (eretz). And Ya`aqov sod pottage: and Esau came from the field, and he was faint: 30 And Esau said to El-Ya`aqov, Feed me, I pray you, with that same red pottage; for I am faint: therefore was his name called Edom. 31 And Ya`aqov said, Sell me this day your birthright. 32 And Esau said, Behold, I am at the point to die: and what profit shall this birthright do to me? 33 And Ya`aqov said, Swear to me this day; and he swore unto him: and he sold his את (eth)-birthright unto Ya`aqov. 34 Then Ya`aqov gave Esau bread and pottage of lentiles; and he did eat and drink, and rose up, and went his way: thus Esau despised his את (eth)-birthright. So it is that the first son of Yitschaq – Esau – despised his birthright and sold it to Ya’aqov. So it was when Avraham gave everything he had to Yitschaq, so it would be that Yitschaq would give everything he had to Ya’aqov, which later included even the blessing. AND Yitschaq called El-Ya`aqov, and blessed him, and charged him, and said unto him, You shall not take a woman of the daughters of Kena`an. 2 Arise, go to Paddan Aram, to the house of Bethu’el your mother's father; and take you a woman from thence of the daughters of Lavan your mother's brother. 3 And EL SHADDAI bless you, and make you fruitful, and multiply you, that you may be a multitude of people; 4 And give you the blessing of Avraham, to you, and to your seed with you; that you may inherit the land wherein you are a stranger, which ELOHIYM gave unto Avraham. And Ya`aqov went out from Be`ersheva, and went toward Charan. 11 And he lighted upon a certain place, and tarried there all night, because the sun was set; and he took of the stones of that place, and put them for his pillows, and lay down in that place to sleep. 12 And he dreamed, and behold a ladder set up on the earth, and the top of it reached to heaven: and behold the angels of ELOHIYM ascending and descending on it. 13 And, behold, YAHUAH stood above it, and said, I am YAHUAH ELOHIYM of Avraham your father, and the ELOHIYM of Yitschaq: the land whereon you lie, to you will I give it, and to your seed; 14 And your seed shall be as the dust of the earth, and you shall spread abroad to the west, and to the east, and to the north, and to the south: and in you and in your seed shall all the families of the earth be blessed. 15 And, behold, I am with you, and will keep you in all places whither you go, and will bring you again into this land; for I will not leave you, until I have done את (eth) that which I have spoken to you of. And with this we have the expression of the covenant and its passing from the patriarch Avraham to Yitschaq, and from Yitschaq to Ya’aqov, by the expressions of the patriarchs, and the expression of YAHUAH who confirmed this covenant.